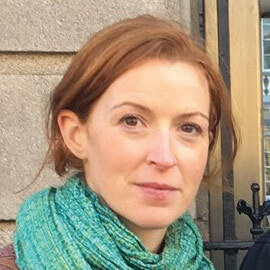 Kate Ruddock is the Deputy Director at Friends of the Earth in Dublin where she is working to promote the transition to a fossil fuel free Ireland. Kate has recently been appointed to the board of the Sustainable Energy Authority of Ireland. Her primary degree was in Natural Science in Trinity and she did a Masters in Environmental Sustainability in the University of Edinburgh.